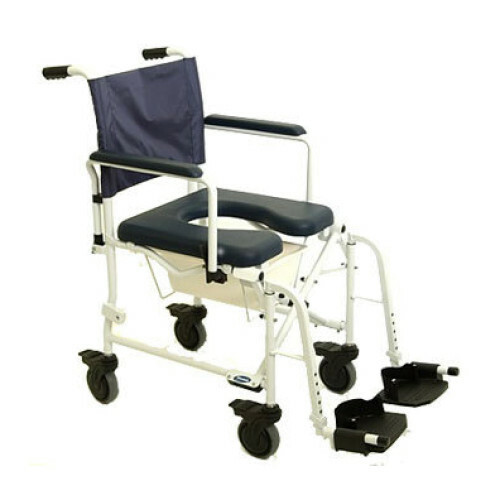 The Invacare Mariner Rehab Shower Commode Chair has a corrosion-resistant aluminum frame and stainless steel hardware, making it ideal for shower use. This chair fits over most standard and elongated bowls for over- the- toilet use. It features flip-back padded arms that lock down for safety, lift-off swing-away legrests with tool-free adjustable height footrests and a four-position padded seat. It is lightweight, durable, has four solid 5" tires, and folds easily for transport or storage. 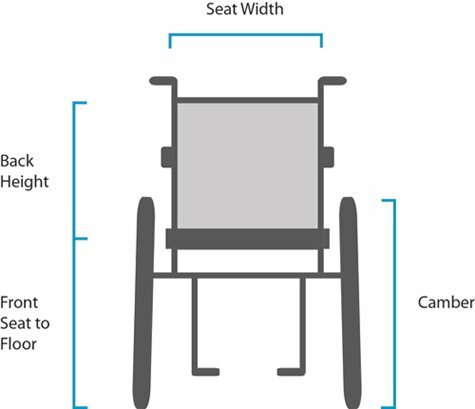 Seat to Floor Height: 22.75"
Seat Wedth Between Arms: 18.5"
For warranty claims with your product, call our expert customer service representatives, and we will arrange to have the replacement parts sent. Amica Medical is an Authorized Dealer and Service Center for all products in our store. If you need on-site service, please call to arrange a visit from our network of Manufacturer’s Approved Service Centers. Service calls are not covered by Manufacturer’s Warranty, and have a minimum charge of $85.00. 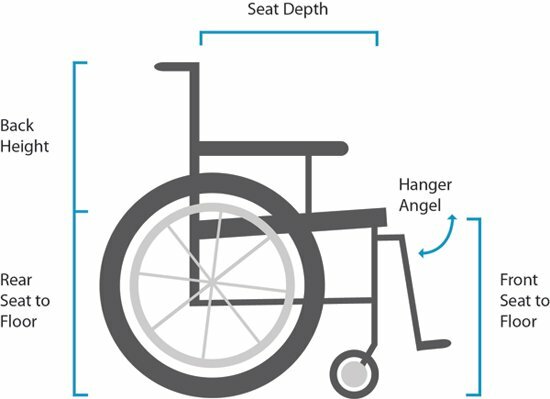 Measure from the inside of each leg-rest tubing the distance or desired distance between legrests. Measure from the front of the seat back post to the center of the rear axle.